Fashion Month is a wrap! If you’re looking for upcoming trends to unlock inspiration in your next MyWear collection, you’re in luck! 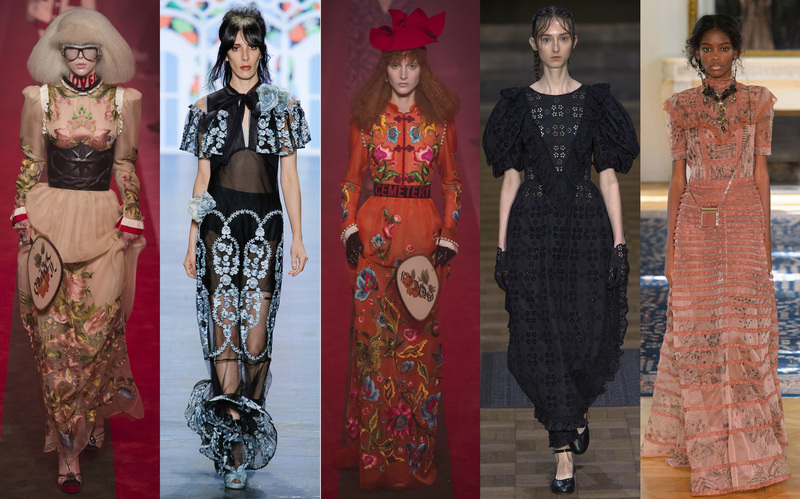 We have scoured the runways in search of the next big thing. Our prediction? More is more. It appears that the zeitgeist has moved on to something bigger, shinier, and brighter. Almost as if in direct response to 90’s minimalism and the normcore tendencies of 2015 & 16, designers went all out for next year, guiding us to a more playful, out-of-the-box approach to dressing (seriously, you cannot fit these shoulders in a box). Find our 2017 trend picks below! 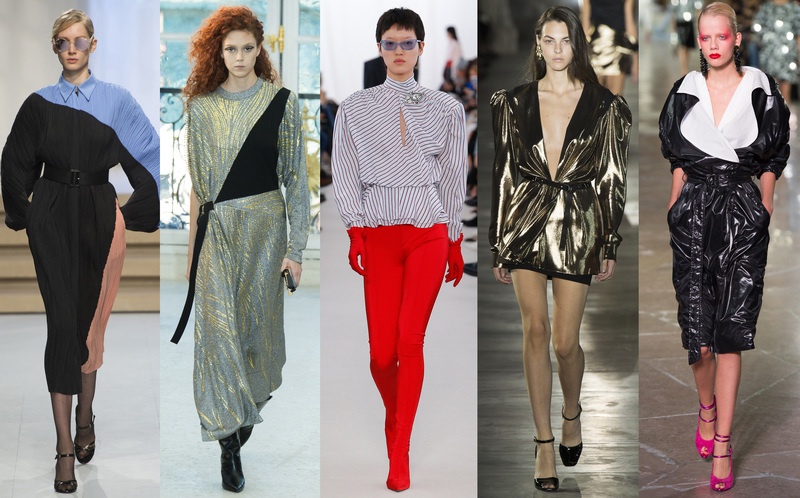 By far, the biggest trend to hit the Spring 2017 runways was 80s-EVERYTHING. Volume, shoulders, gold lame–it all made an appearance. Love it or hate it, you’ll be seeing far more of it in 2017, although we’ve yet to see how it will actually translate for everyday wear… Brace yourself, things could get interesting! Lace, ruffles and billowy, high-collar blouses-oh my! Many collections had an old-timey, Victorian-esqe quality about them, although most were mixed with more modern aspects, as well. 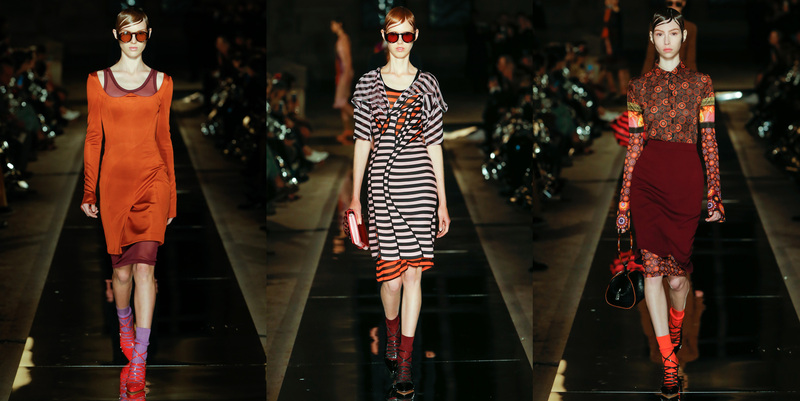 Gucci, for example, paired Victorian silhouettes with sequins, surprising colors, and graphic text. We’re predicting that we’ll all be seeing a lot more lacey and ruffled romantic frocks at the mall by this time next year. 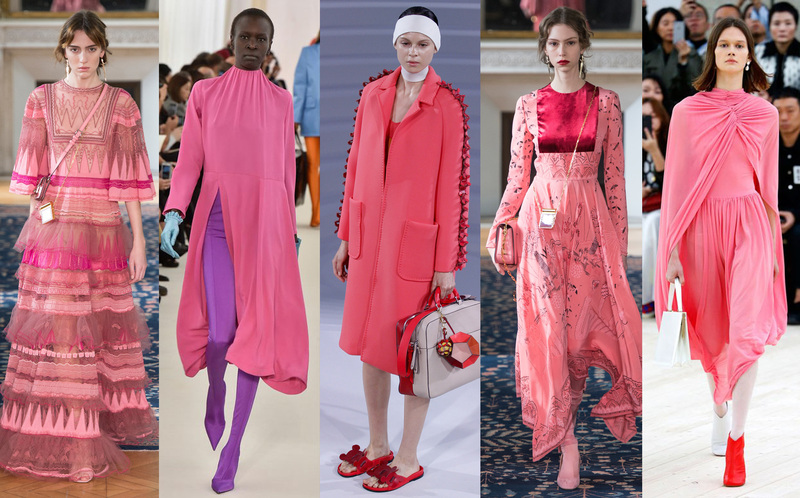 Neon colors were all over the runways, but by far the color that seemed to get the most props from designers was bright, playful pink… especially in the way of dresses. Design your own dress in your custom size here! You can always expect to see floral prints on Spring runways, and 2017 is no different. But, next year, prints are on vacation. Get ready for some early-aughts Quicksilver nostalgia! 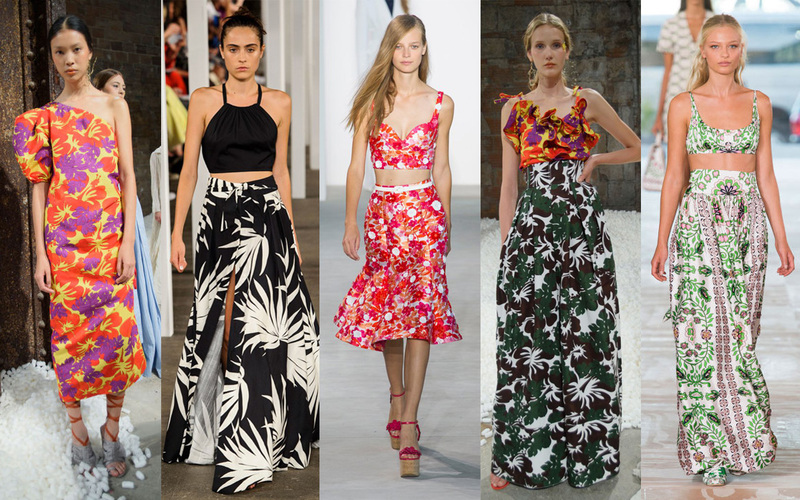 The runways were filled with cheerful, tropical prints. Designers are still obsessed with shoulders. 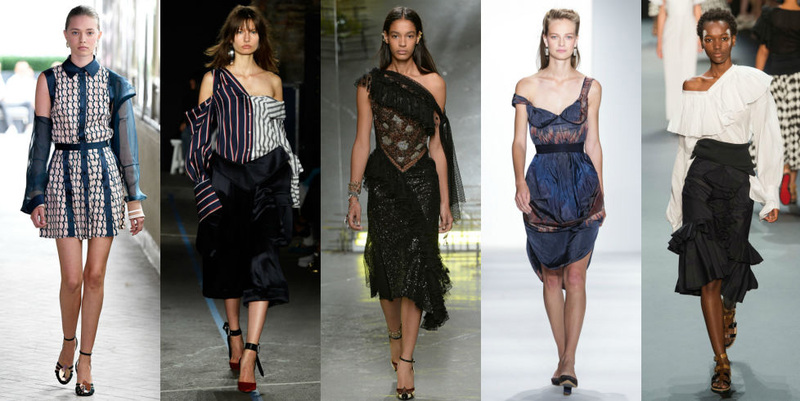 Summer 2016’s off-the-shoulder blouses will be replaced with Flash Dance-style skin-baring and shoulder pads that would make Klaus Nomi proud. Rupaul and Cher rejoice! 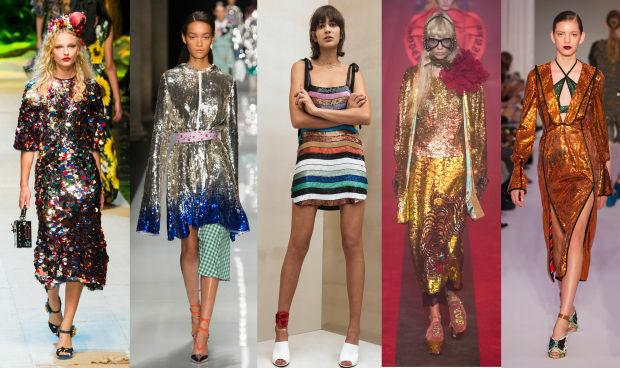 Look at all the sequins that sparkled down the runway this month. 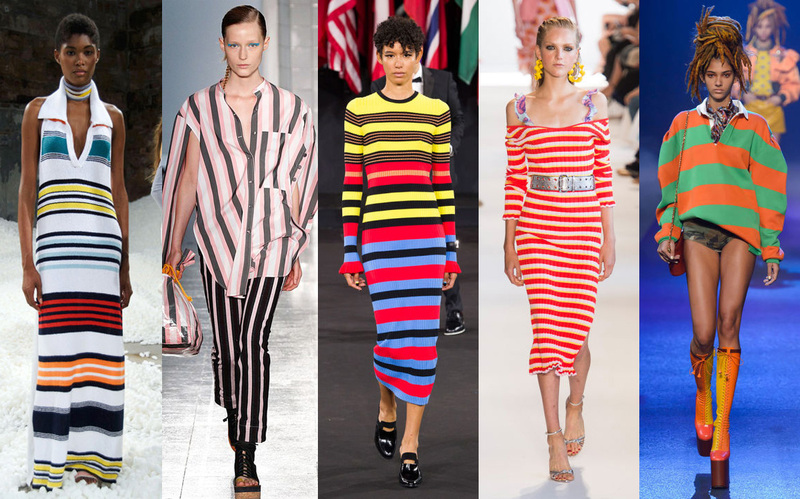 Stripes are still cool af, according to 2017 collections. Keep them bright and a little cartoon-y to fit in with this trend. As you can see, there’s a little something for everyone in 2017. 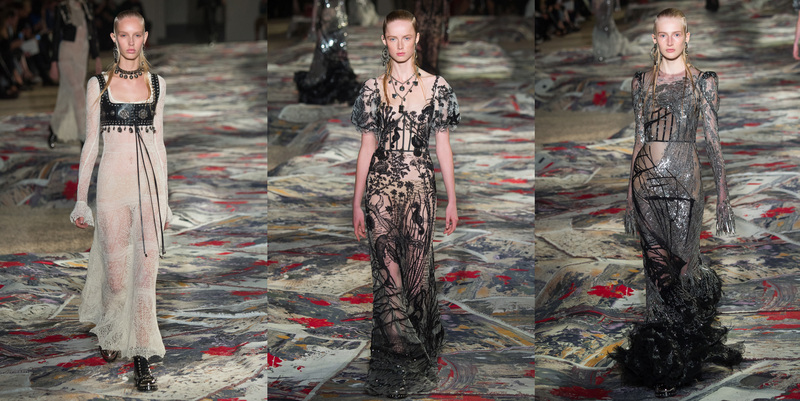 But, fashion month shined down especially bright for those of us looking for bold designs, rich materials, and over-the-top inspiration. Thanks, NY, London, Milan, and Paris! Can’t wait to see what you have in store for us next season! 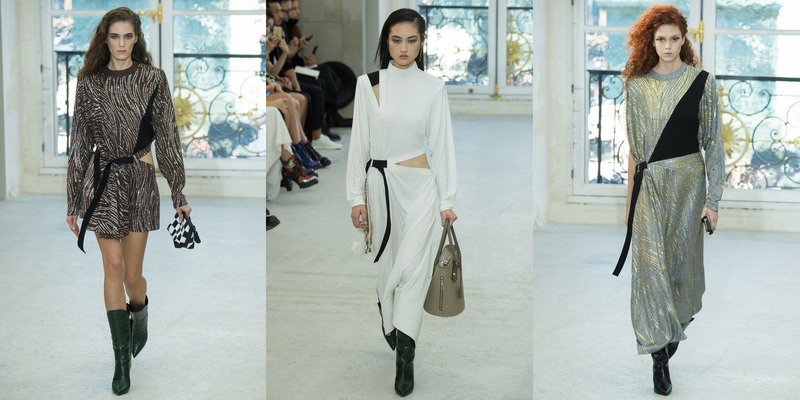 There was quite a bit of drama at Paris Fashion Week but, luckily for us, a fair share of it occurred on the runways! We saw many collections take on a ‘more is more’ approach in lieu of some of the more minimalist looks we’ve seen a lot of over the past couple years. 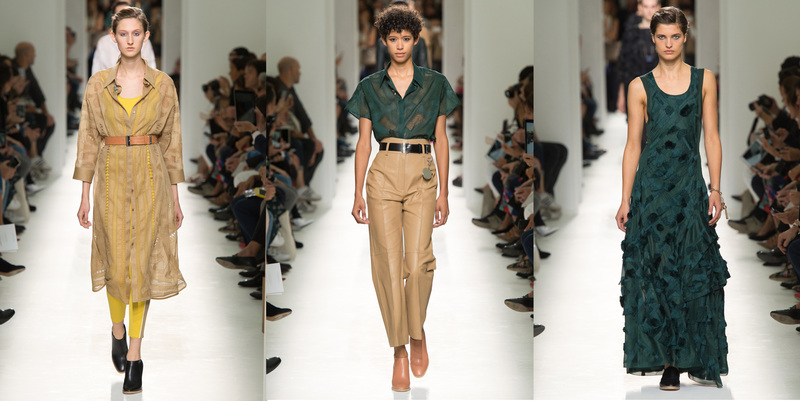 Designers embraced big shoulders, sequins, and lots of 80s-esque silhouettes and disco-inspired designs. Check out some of our favorites below! Stay tuned for our Spring 2017 trend predictions, although you can probably spot a few from the collections above! Feeling inspired? Then get to MyWear to create your own unique design! It’s the most wonderful time of the year! Fashion month is in full swing-currently wrapping things up in London, then making its way to Milan tomorrow. Before seeing what Versace, Fendi, and Gucci (OMG, Gucci tho!) 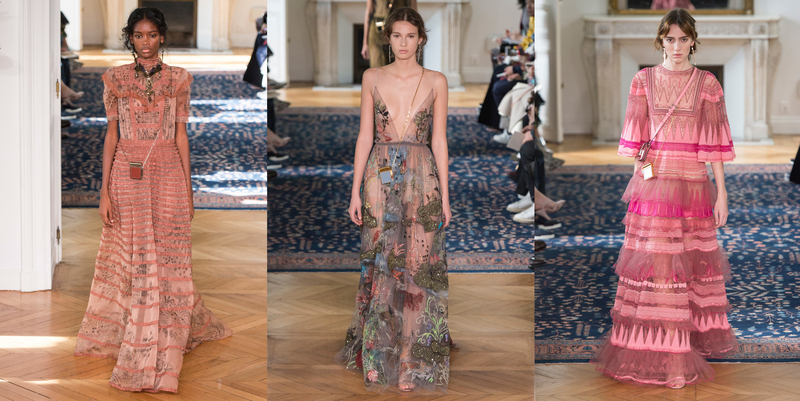 have in store for us, let’s take a look at our favorite S/S17 collections that showed at London Fashion Week! Hopefully these looks have inspired you to create your own one-of-a-kind design on MyWear. As always, be sure to tweet your creations to @LaunchMyWear. Until next time, happy designing! !